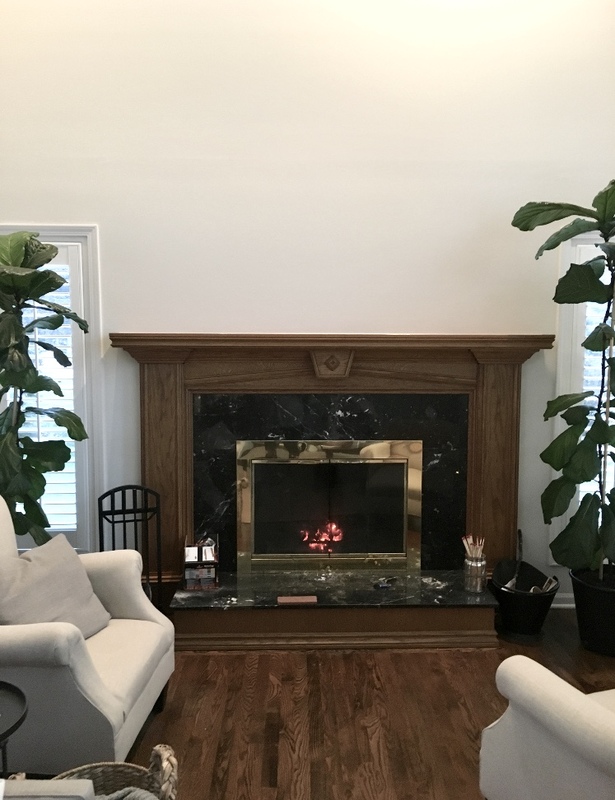 When we moved into our house, we were so happy to have our first fireplace and a real wood burning one at that! However, we knew that the design of the mantle and surround would need updating at some point and since we figured we'll be at home a little more in the coming months with Baby Rapp, now was a good time to get one last project in before he arrives! 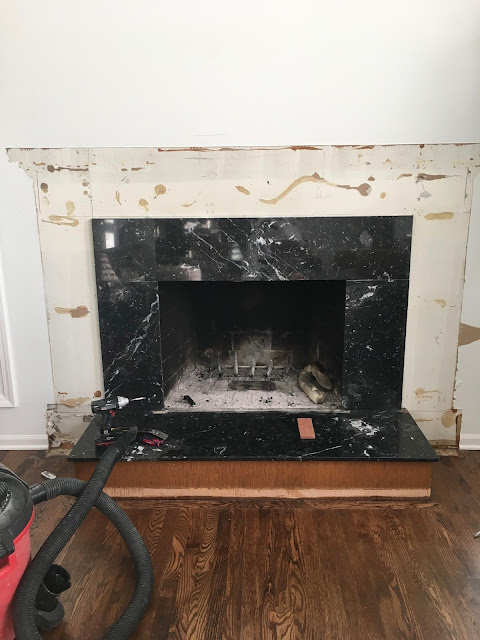 Here is what we started with.. extra wide wood mantle & black marble surround which had some cracks in it and wasn't fitting in with our style. You can see the new width is smaller than the original but we added height for the TV to be mounted so it's a lot more proportional to the room. And the completed AFTER shot- we couldn't be happier with it! So thankful for my handy hubby, really I just showed him an image and he made it come to life perfectly! 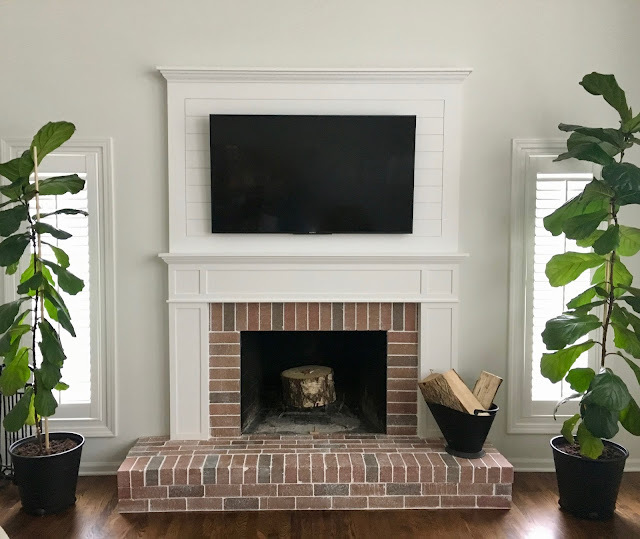 The brick is the same that we used in our laundry room update which I will be sharing soon. Love that it adds some warmth to the space. Not many sources to share but we are in love with these brick tiles from Menard's. 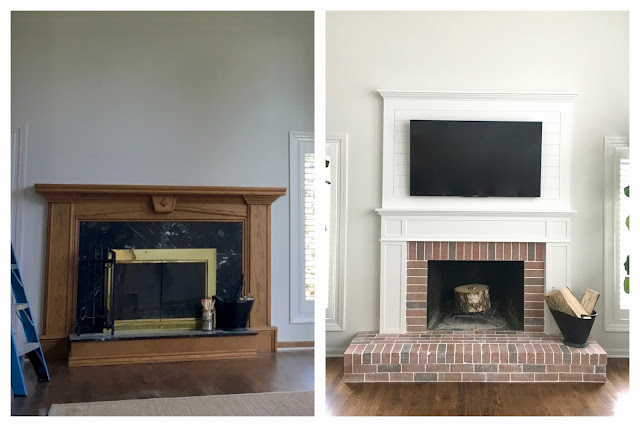 Fireplace paint color is Benjamin Moore Ben Flat paint in White. Wall color is Benjamin Moore Sheep's Wool.